ROBsessed™ - Addicted to Robert Pattinson: ROBsessed Giveaway: Christina Lauren scores again with young adult novel, Autoboyography! 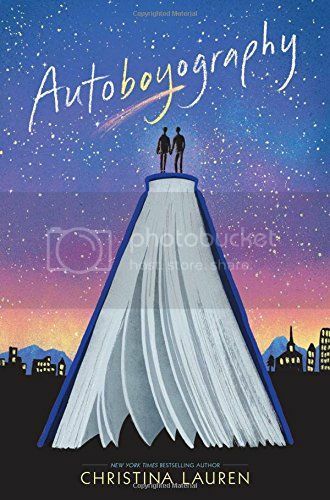 ROBsessed Giveaway: Christina Lauren scores again with young adult novel, Autoboyography! We're big fans of Christina Lauren and they're releasing their most personal novel to date. Of course we want to support and offer you guys a chance to win a copy. The new novel is a love letter from Christina Lauren to LGBTQ teens with the hope of bringing attention to Encircle, "a non-profit in Provo, Utah that offers a safety net of support to LGBQT teens in the area." It's heartwarming, sincere, and worth your time. As the two begin an intense, secret relationship, words flow out of Tanner and into an autobiography he soon realizes he can never turn in. Tanner struggles to help Sebastian carve out a new path forward in his faith, and find his place in a world that once told him the only road to happiness is a straight and narrow one. There will be 1 worldwide winner! You can enter the giveaway once a day through the Rafflecopter and/or Twitter. The giveaway will end Friday night, Sept. 16th. Don't want to wait? Click below in the widget to buy now!